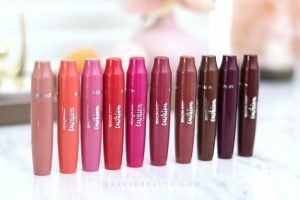 PSA: MAJOR Discounts at City Color Cosmetics Sale!!! ATTN: Read through this whole post to find out how to get the most out of this sale! Today marks the start of City Color Cosmetics‘ biggest promotion ever. From now until Tuesday, July 5th, everything will be marked down 35% off sitewide! 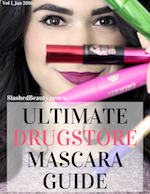 With products that are so affordable to start with, this is an amazing opportunity to really try a little bit of everything from the brand while saving a crazy amount of money. During the sale, they’re also giving out a free Contour Effects Palette (original) for orders over $40. You can see my review and swatches of this palette here. When your subtotal reaches $40 after the discounts, the palette will automatically be added to your cart. No code is required for the 35% off or the free palette, but you can use my code for an EXTRA 10% OFF the sale! Use the code SlashedBeauty at checkout to get another 10% off during the sale. Got that? So altogether you can get 35% off, a free palette, and then another 10% off of that with my code! Shop now at CityColorCosmetics.com, the sale ends at 11:59PM on 7/5/16.